In Parts 1 and 2 of this series I wrote about acceptance and commitment therapy (ACT) and how this evidence-based treatment for relapse prevention, anxiety, depression and pain is being integrated into Crossroads Centre treatment protocols. As a psychologist who has worked with thousands of people with substance use disorders, I have seen the power of ACT first-hand; those people who bring themselves into acceptance rather than avoidance, who learn to let go of their addictions to their own thinking, who engage in identifying their values and then committing to these values through changes in behavior… well, those people do remarkably well in recovery. One of the beautiful things about ACT is that it doesn’t have to be a substitute for understanding and working the 12 Steps. ACT blends seamlessly with the 12 Steps and, in doing, so, reveals to us the deep values that form the strong foundation on which the Steps are built. 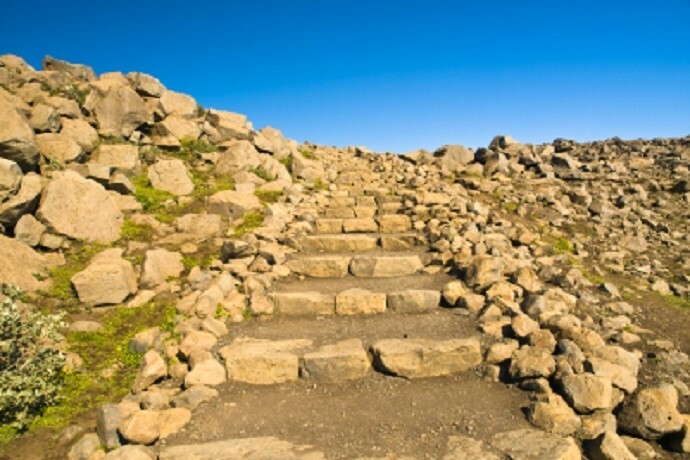 In Part 2 of this series, I wrote about the ideas behind the Steps as a means of simplifying the sometimes old-fashioned and off-putting language of the Steps so as to get a better handle on the progression of the Steps and what each of them asks of us in recovery. Those ideas included help, belief, trust, honesty, sharing, respect, acceptance and giving back. Now, it is time to peel another layer off the onion to pay attention to the values behind the ideas. As we do this, I invite you see what develops and how those values begin to bring a new structure to the first 9 Steps, remembering that Steps 10-12 are the maintenance Steps. The idea behind Step 1 is help, so what deep value do we have to make contact with to set aside our self-centeredness, our illusion of control and our ego? I would suggest it is the value of humility. We have to be in this vulnerable place to admit that our lives have become unmanageable. Step 2 asks us to believe that we can be restored to health and sanity through contact with a higher power of our choosing. So many people come into treatment under a dark cloud and a fatalistic view of their world. And then, through the work they begin to do, that cloud lifts and they experience hope. If we believe we can be restored to sanity, no matter how much wreckage there is in our lives, then we have opened the door to hope. In Step 3, we make a decision to put ourselves in the hands of a higher power. The idea of trust implicit in this Step involves the deeper value of faith. Not organized-religion faith, but faith in the process of recovery that is beginning to unfold. Faith in the support one will receive through fellowship. Faith that change through connection is possible. Honesty is the idea of Step 4, and although I have thought long and hard as to what value might underlie honesty, at the end of the day, honesty is the value itself. Honesty may contain truth, but honesty is the value that brings transformation to a searching and moral inventory. Step 5 asks us to move beyond ourselves to share our truths, no matter how painful, with others. In taking this step there can be no room for the self-centered ego. In other words, the value in Step 5 is humility. Which leads us to the hope in Step 6 that all of our “defects of character” can be removed by a conscious contact with our higher power. Again, if we recognize the natural and well-thought-out progression of the Steps, it makes sense that humility leads us to hope. If we are humble enough to be “entirely ready” for redemption in Step 6, then we can hold out hope that our true natures emerge from the ashes of addiction. In Step 7, we see how the combination of humility and hope lead to a faith in our higher power. This faith can allow our “shortcomings” to be removed and our spirits to heal. In Step 3 we made a decision to turn it over-an act of faith. In Step 7 we see the natural result of this decision: spiritual healing. Crucial to this spiritual healing is acceptance or the willingness to make amends to others. But those amends would be pointless and without meaning unless they were done with what value? You have probably figured the pattern out by now, and you would be right. Step 8 has, at its root, the value of honesty. Finally to Step 9 and, yes, the deep value here is humility. Making amends to others without this inherent value would be to ease one’s conscience at the risk of hurting another, which is not what the Steps ask us to do for our recovery. We have to carry this value, like all four values, with us in all our thoughts and actions. Again, Steps 10 through 12 invite us to continue this work in our lives and in our recovery, and so, to live according to these values in full acceptance of the 12 Step process. So there you are: 12 Steps and 4 Values. Whether you have never used drugs or you reached a point where you couldn’t stop using them, I want to challenge you: wouldn’t you want these 4 values in your life? No one is asking you to become a monk or a nun. But how do you want to live your one precious life? What matters most to you? How would you like to be remembered? Thank you for sharing this series on ACT and the 12 Steps with me. Perhaps you found a pearl in it. More to the point, perhaps, today, you can bring a pearl to another. I am a 67 year old man. I am going on 5 years of continuous sobrity. I attended my first of many sporadic meetings in March 1975, in Toronto. My latest sobriety date is June 3 2012, when I entered therapy at Maison Jean-Lapointe in Montreal. Before that, I didn’t do any step work. These bulletins are very helpful. Thanks again.